John Dube’s grandmother, Dalitha becomes the first convert of the Lindley Mission Station in Inanda. 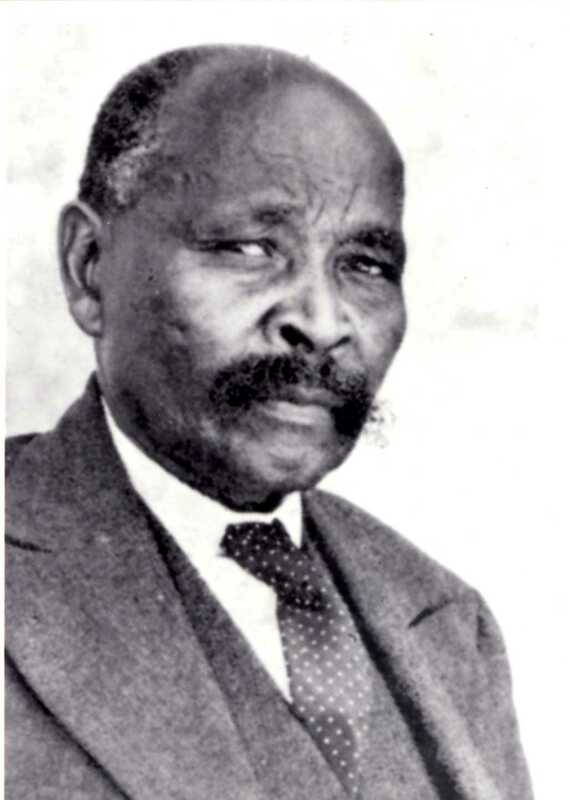 22 February, John Langalibalele Dube is born at the Inanda Mission station of the American Zulu Mission (AZM), in Natal to Rev James Dube and his wife Elizabeth. John Dube leaves South Africa to study at Oberlin College in the USA. Dube works in the US doing odd jobs at Oberlin College. Dube enrols as a student at Oberlin preparatory school to study the sciences, mathematics, classical Greek works, and a course in oratorical skills. Dube begins lecturing in the US, for instance in Ohio, Pennsylvania and New York and publishes a book entitled A Familiar Talk Upon My Native Land and Some Things Found There. Dube is forced to return to South Africa by a chronic illness. He becomes a teacher at Amanzimtoti (later known as Adams College). Wilcox and Nokutela encourage him to establish his own mission after he became increasingly unhappy with the structure of traditional mission education. Subsequently, he establishes a small day school in Umkomazi where teaches English and Mathematics. Dube accompanied by his wife returns to the USA to further his studies in Theology at the Union Missionary Seminary in Brooklyn, in New York. August, Booker T Washington, an African-American leader, receives a letter from Dube requesting that he give some formal endorsement for his industrial education scheme. Dube makes an appeal for funds to pastor Robert J Kent, who assisted him with funding to establish a Christian Industrial School for the benefit of Zulus. Dube calls a conference of Christian Black workers to discuss his educational project. Zulu chief, Mqawe, Dube's uncle agrees to give Dube 500 acres of land at Incwadi, Natal, to serve as the location of the Industrial School. Dube returns to South Africa where establishes links with other Africans. July, The Natal Native Congress is formed and Dube is founder member. 8 August, The Zulu Christian Industrial School is opened at Ohlange during an annual meeting of the African Congregation churches at the nearby Inanda Church. A collection of funds $275.00 was realised. A small group of Whites, including, George Hodson, American Board ministers, SC Pixley, CW Kilbon, Mr Pugh and William Cullen Wilcox, the missionary who had first taken Dube to the United States of America in 1887. 20 August, On Ohlange's first working day, the school opens with 63 male students, 50% of whom live on the campus. Within three weeks the school enrols close to 100 pupils. August, The Zulu Christian Industrial Institute is renamed the Ohlange Institute and is formally opened. April, Ilanga lase Natal, a Zulu-English newspaper, is founded by Dube, who serves as its editor. The paper is printed by International Printing Press in Durban. October, Ilanga laseNatal ceases printing at the International Printing Press and is printed at the Ohlange Institute. Dube goes to the USA to raise more funds for the Ohlange Institute. Dube receives funding from Emaroy June Smith to build a men’s dormitory. The Bambatha rebellion begins. It is triggered by an introduction of new taxes, and also the encroachment of white settlers on land owned by Africans. Dube becomes involved by criticizing the government while at the same time expressing his reservations about the rebellion. March, Dube attends the South African Native Convention, convened in Bloemfontein. Dube placed the school under the supervision of a Board of Advisors, chaired by Marshall Campbell, Victoria County sugar cane planter and Natal Senator. 8 January, Dube becomes a founder member and first President of the South African Native National Congress (SANNC) which is later renamed as the African National Congress (ANC). Dube leads a deputation to England to protest against the imposition of the Natives Land Act. Dube publishes The Zulus' Appeal for Light in English while protesting the adoption of the South African Native Land Act of 1913. Dube is ousted from the presidency of the SANNC and is replaced by Sefako Mapogo Makgatho. A girls' dormitory opens at Ohlange and the school initiates a teacher training course primarily for women. Ohlange begins to offer the Cape Junior curriculum. 24 February, the new Ohlange Institute Trust is established to direct the management and conduct of the school. William Wells becomes Headmaster at Ohlange. The Natal Education Department recognises Ohlange for the purposes of financial assistance and begins subsidising teachers' salaries. A Tailoring course is introduced at Ohlange Institute. Dube quits the Smuts Native Conferences as he increasingly came regard it as powerless. Dube attends an international conference at Le Zoute in Belgium as one of the South African delegates. He also uses the visit to raise funds for Ohlange Institute. Ohlange students take Humanities and Social Science courses which prepare them for the Junior Certificate examination of the University of South Africa. The course could also serve as an entrance qualification for the University College of Fort Hare. The Zulu choir of the Ohlange Institute, under the conductorship of Mr RT Caluza, a teacher at the school, visits Great Britain to make phonographic records for His Master's Voice Gramophone Company. Dube controversially, openly considers supporting Hertzog's bills in the hope that they might provide some additional funds for development. Dube founds the Natal Bantu Teachers' Association, today known as the Natal African Teachers' Union (NATU), for professional Black teachers. Dube becomes a member of the All African Convention. Bantu Press buys a 50% share of ILanga laseNatal and Dube’s influence on the paper declines. Dube represents Natal on the Native Representative Council until his death in 1946. Dube is elected as Natal’s delegate at the Natives’ Representative Council, and becomes the first African to be awarded an honorary doctorate by the University of South Africa. 11 February, John Dube dies in Umhlanga, Natal. Institution of 'Mafukuzela Day' at Ohlange. In time, this becomes 'Mafukuzela Week', with figures such as the Zulu king in attendance.